I am someone who is always thinking. My mind is constantly processing things and coming up with ideas. Not all my ideas are good ideas. For that matter not all my thinking is good thinking either!! LOL! Sometimes it’s hard to know what thoughts are mine and what thoughts are from God. A few months ago I wrote a blog about the darkness in the Mole. I was sitting outside and noticing how dark the mountains were. I remembered some of my childhood and how scared my friends were of the dark. I had this idea come to me – what if we bought lights for the homes so the children wouldn’t be afraid? What if we turned their dark into day? Hmm. I thought about it some and decided it would be too expensive and too complicated. So a few days passed and the idea resurfaced. I thought about it some more and decided – I really just don’t have the time or energy to pour into that thought. A few weeks later the idea came back to me again. It had now been 5 weeks. Finally I realized that this wasn’t just an “idea” – this was the Lord’s prodding! I had wasted 5 weeks ignoring the nudging of the Lord. When we passed out the lights a few weeks ago the impact it had was far greater than any idea I could come up with. So many of the Haitians wanted the lights but not what it represented. They were afraid it would upset the spirits. Just like we wouldn’t want a voodoo statue in our house – they felt the same way about the light. We didn’t force them to take the light. We offered it. And every house took it. When the staff got back together we talked about the power of the light! 2 – Kids could study by it. 5 – It would remind people they weren’t alone – God is there! The staff told me all those things were true. HOWEVER there was a greater use of the light. They said there are homes tonight that are contemplating what that light really means. There are homes sensing the presence of the Lord that have never felt His power before! There is a spiritual battle taking place tonight of – good vs. evil – – light vs. darkness. The staff talked with such conviction that it gave me chills! Here I was running from this idea. I thought it was too costly. I thought it was too much work. I could have really blown this great opportunity to reach people in His name. 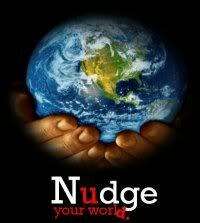 Is the Lord nudging you to do something? To give something? To quit something? To sacrifice something? Are you making excuses? Are you running? Do you realize that YOU might be the missing piece in His Master Plan? So today I am thankful the Lord doesn’t give up on me when I delay His work! For constantly nudging me and ALLOWING me to be a part of His Master Plan!